Global warming leads to the ice sheets on land melting and flowing into the sea, which consequently rises. 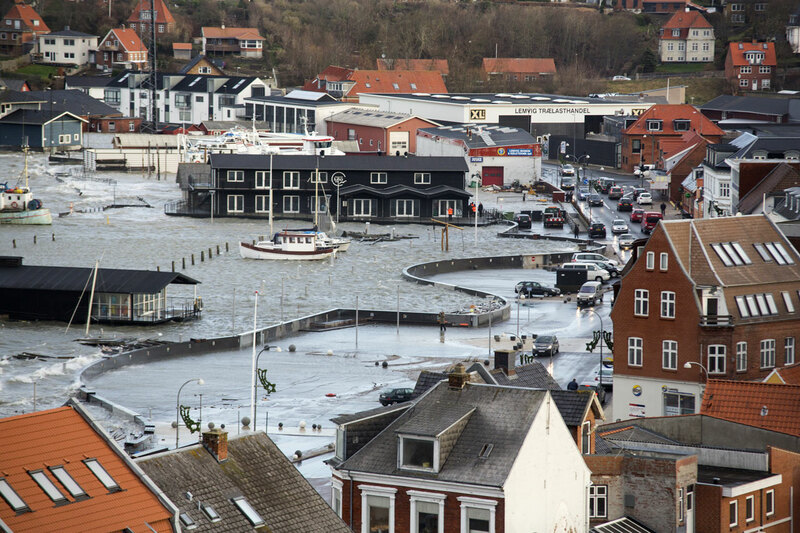 New calculations by researchers from the Niels Bohr Institute show that the sea level in Northern Europe may rise more than previously thought. 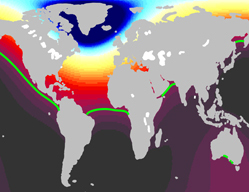 There is a significant risk that the seas around Scandinavia, England, the Netherlands and northern Germany will rise by up to about 1½ meters in this century. The results are published in a special issue of the scientific journal Climate Research. Lemvig in western Jutland in Denmark has coastal protection in the form of a curved concrete wall that winds across the harbour area. 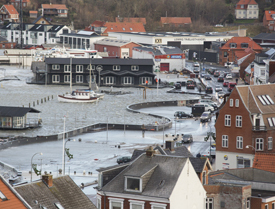 The high water wall functions optimally against high water levels up to 2.10 meters and it already proved its worth during a large storm in December 2013. When there is no storm warning, the wall’s sliding doors open and create an attractive area at the harbor with a promenade, benches and gathering places. (Photo: Mads Krabbe). Sea level rise is a significant threat to the world’s coastal areas, but the threat is not the same everywhere on Earth – it depends on many regional factors. “Even though the oceans are rising, they do not rise evenly across the globe. This is partly due to regional changes in the gravitational field and land uplift,” explains Aslak Grinsted, associate professor at the Centre for Ice and Climate at the Niels Bohr Institute, University of Copenhagen. He explains that gravity over the surface of the land and sea varies due to differences in the subsurface and surroundings – the greater the mass, the greater the gravity. The enormous ice sheet on Greenland attracts the sea, which consequently becomes higher around Greenland. When the ice sheet melts and flows out to sea as water, this attraction is reduced and even though more water has entered the sea, the sea level around Greenland would fall. Another very important effect for Northern Europe is that during the ice age we had a thick ice sheet that weighted down the land. When the weight disappears, then the land rises and even though it has been more than 10,000 years since the ice disappeared, the land is still rising. The calculations show that in the Gulf of Bothnia the land is still rising faster than the expected sea level rise. The UN Intergovernmental Panel on Climate Change (IPCC) has estimated that the average global warming in this century will rise by 4°C in a business-as-usual scenario. That is to say, if we continue to emit greenhouse gases as we have up to now. The effect will be a rise in sea levels. 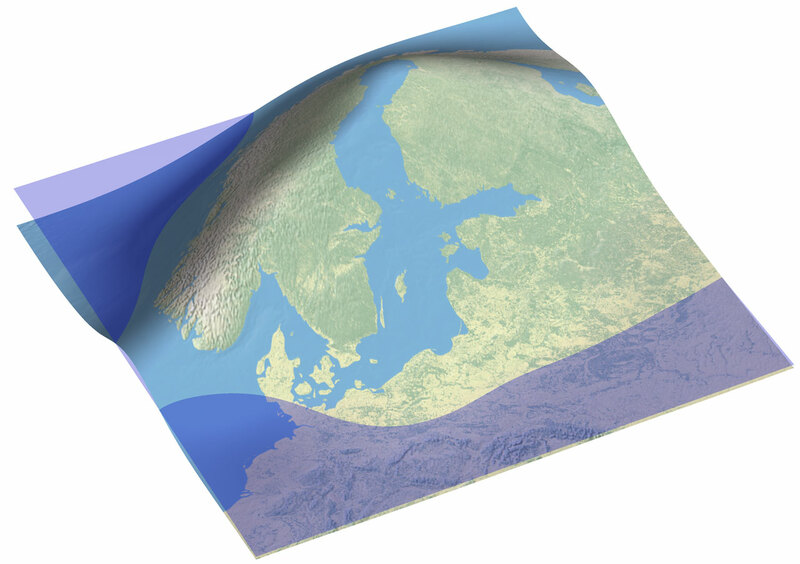 “Based on the UN climate panel’s report on sea level rise, supplemented with an expert elicitation about the melting of the ice sheets, for example,how fast the ice on Greenland and Antarctica will melt while considering the regional changes in the gravitational field and land uplift, we have calculated how much the sea will rise in Northern Europe,” explains Aslak Grinsted. The calculations show that there is a real risk that what have been regarded as high scenarios in the Netherlands and England will be surpassed. The map shows land uplift in Scandinavia. The Earth’s crust is still rising in response to the removal of the great weight of the kilometer-thick ice sheets at the end of the ice age more than 10,000 years ago. “For London, the calculated best estimate is that sea level will rise by 0.8 meters. In England, a sea level rise of more than 0.9 meters in this century has been considered highly unlikely, but our new calculation shows that there is a 27% chance that this limit is surpassed and we can not exclude a sea level rise of up to 1.75 meters this century,” explains Aslak Grinsted. For the Netherlands, the best estimate of sea level rise is 0.83 meters, but the calculations show that there is a 26% chance that it will exceed the existing high-end scenario of 1.05 meters and a sea level rise of up to 1.80 meters cannot be excluded. “Both countries have already established protections for the coasts with barriers, sluice gates, and dikes, but is it enough? I hope that our calculations for worst-case-scenarios will be taken into consideration as the countries prepare for climate change,” says Aslak Grinsted. Copenhagen is slightly less exposed. Here the best estimate is that sea levels will rise by 0.68 meters, but there is a risk of increases up to 1.6 meters. 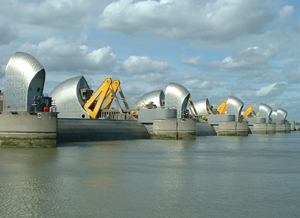 The Thames Barrier has protected London from an increasing number of storm surges since 1982. 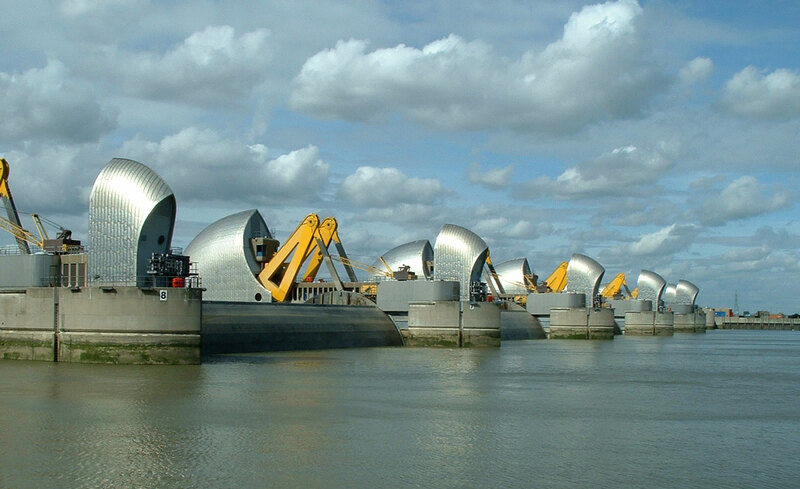 It is designed to withstand a ‘thousand year event’, but rising sea levels erode the degree of protection and thus shorten its service life where it can provide an adequate level of protection. (Credit: Andy Roberts, East London, England). 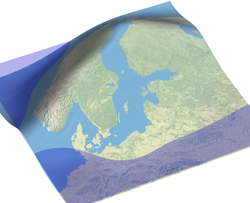 But even though the sea level around the world will rise by an average of 80 cm, the sea level in the Gulf of Bothnia in Finland is expected to fall by 10 cm due to land uplift. The land is rising faster than the sea is rising. The reduced gravitational attraction of the Greenland ice sheet will result in lower sea levels as far away as 2000 km from Greenland in Ireland, Scotland and Norway. This means that the melting from Greenland will contribute 14 cm to the global sea level, but locally in Edinburgh it will result in a fall of 4 cm. Aslak Grinsted explains that the great uncertainty in relation to future global sea level rise is how quickly the ice on Antarctica will melt and whether it will happen in a large collapse. But even without a collapse of the ice on Antarctica, vulnerable countries should prepare contingency plans in their coastal defence for the ‘worst-case-scenario’.